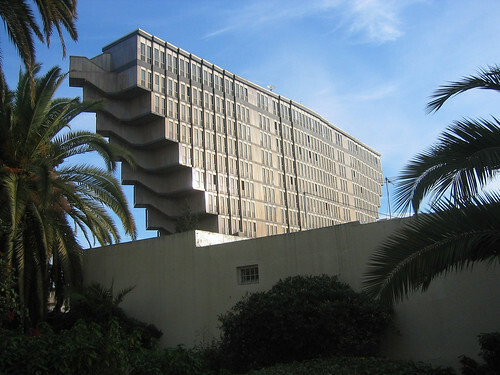 Tunis’ Hotel du Lac, above, was apparently the inspiration for the sandcrawlers in Star Wars. It’s interesting that this example of sci-fi brutalism isn’t very well-known and in fact I can’t even locate the name of the architect or year it was completed. It interests me for a number of reasons. Its imaginative futurism, its location in North Africa, and the fact that the coastal city of Tunis is the same size as Vancouver, where in general we do not have central downtown architecture this bold. An exception is our planetarium, and it’s not downtown. 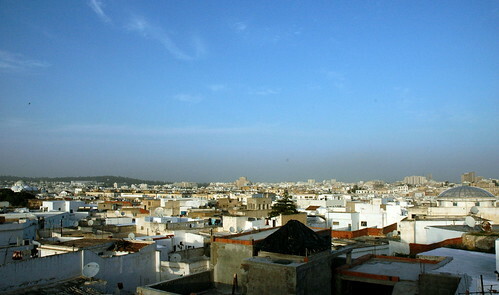 Tunis has always been one of the most liberal and modern of Arab cities. Its history is wildly mixed and so is its architecture. It has Carthage a suburb, has been occupied by numerous different Mediterranean cultures, and was later colonized by the French. 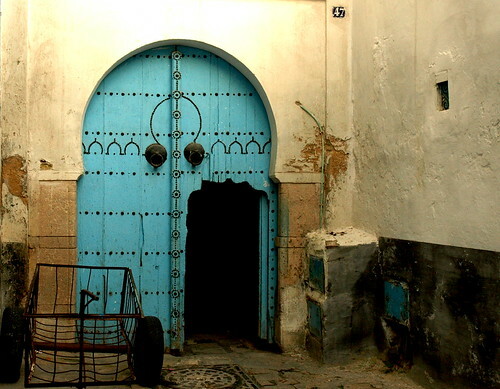 At its centre is an ancient medina designated a World-Heritage site, it has impressive Islamic architecture some of which is more than 1,000 years old, as well as Roman ruins and French colonial architecture. And it also has a stock of modern and contemporary buildings. The current wave of rebellion crossing North Africa was sparked in Tunisia in December over economic stagnation and political oppression. Violence was renewed there yesterday after a member of the recently deposed ruling family was sentenced to prison. 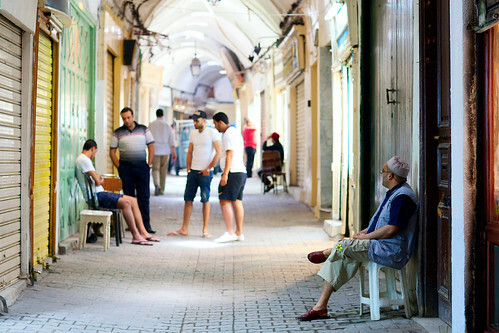 It will be interesting to see how Tunis responds to and survives the current unrest. Clipping courtesy Andrew Myers via Star Wars Collective Archive. Below is the ancient medina at the heart of the City, beginning with a map of the cul de sacs in the famous marketplace and its surrounding houses. A friend of mine who lived there for a spell talks about the medina neighbourhood as rather like a large sprawling apartment building housing the whole city. He also said that due to the covered walkways the line between inside and outside was blurred. Photos by Svetlana Grechkina, Jabiz Raisdana, Veronique Debord from Flickr Creative Commons. 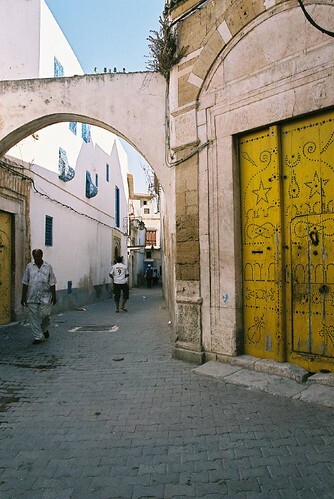 Beautiful image of Tunisian textiles in the medina here. This entry was posted on Saturday, March 12th, 2011 at 3:34 pm	and is filed under architecture, urban planning. You can follow any responses to this entry through the RSS 2.0 feed. You can leave a response, or trackback from your own site.